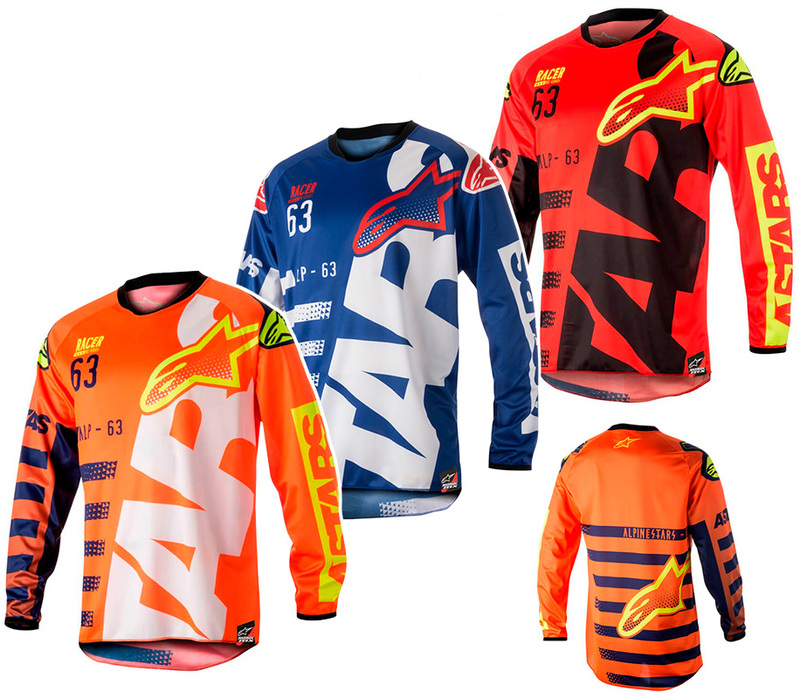 Cross / Enduro Alpinestars Racer Braap 18 Jersey. Made of light, moisture absorbent and durable fabric. Longer cut in the rear area to make it compatible with Alpinestars MX's trousers. Microfiber collar neck for a better fit and comfort. Fitted cuffs on the wrists.